"If the lives of men can be measured in terms of years, ideologies in decades, and nations in centuries, then the unit measuring civilizations, born of the interaction among peoples, would be the millennium"
This quote is written / told by Abdelaziz Bouteflika somewhere between March 2, 1937 and today. 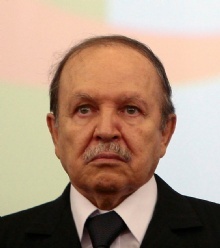 He was a famous Statesman from Algeria. The author also have 4 other quotes.